Mobile phones emit electromagnetic radiations that are classified as possibly carcinogenic to humans. Evidence for increased risk for brain tumours accumulated in parallel by epidemiologic investigations remains controversial. This paper aims to investigate whether methodological quality of studies and source of funding can explain the variation in results. PubMed and Cochrane CENTRAL searches were conducted from 1966 to December 2016, which was supplemented with relevant articles identified in the references. Twenty-two case control studies were included for systematic review. 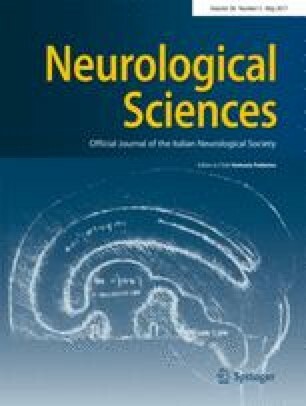 Meta-analysis of 14 case–control studies showed practically no increase in risk of brain tumour [OR 1.03 (95% CI 0.92–1.14)]. However, for mobile phone use of 10 years or longer (or >1640 h), the overall result of the meta-analysis showed a significant 1.33 times increase in risk. The summary estimate of government funded as well as phone industry funded studies showed 1.07 times increase in odds which was not significant, while mixed funded studies did not show any increase in risk of brain tumour. Metaregression analysis indicated that the association was significantly associated with methodological study quality (p < 0.019, 95% CI 0.009–0.09). Relationship between source of funding and log OR for each study was not statistically significant (p < 0.32, 95% CI 0.036–0.010). We found evidence linking mobile phone use and risk of brain tumours especially in long-term users (≥10 years). Studies with higher quality showed a trend towards high risk of brain tumour, while lower quality showed a trend towards lower risk/protection. The online version of this article (doi: 10.1007/s10072-017-2850-8) contains supplementary material, which is available to authorized users. The authors would like to thank All India Institute of Medical Sciences for providing us the resources for conducting the meta-analysis successfully. KP supervised the study. MP and PK screened the papers on inclusion and exclusion criteria followed by data extraction. They also appraised the methodological quality of the retrieved studies. Data analysis was carried out by KP, PK, MP, and AK. Drafting of manuscript was done by KP, PK, and MP. PN, PK, and MP were involved in the formulation of tables. They were also involved in reviewing the manuscript and revising it critically for important intellectual content. All authors read the final manuscript, and approval was given by KP.